* Played in all 27 games and made 25 starts at forward on the season. * Recorded a goal against No. 5 Duke and No. 11 Virginia as the Seminoles won their sixth ACC Championship in eight seasons, earning a spot on the 2018 ACC All-Tournament Team. * Added a goal in Florida State’s 4-1 win over No. 2 UCLA on September 2. * Scored the game-winning goal against Florida on September 7. * Earned 13 starts, including each of her last 12 matches played in the season. * An aggressive forward, she ranked third on the team with five goals scored, and also added three assists. * Gave the Noles a 1-0 win in overtime against Troy on September 11 with her goal just 52 seconds into the overtime period. * Scored the game-winner against Mercer on September 15, converting her only shot of the game in the 25th minute. 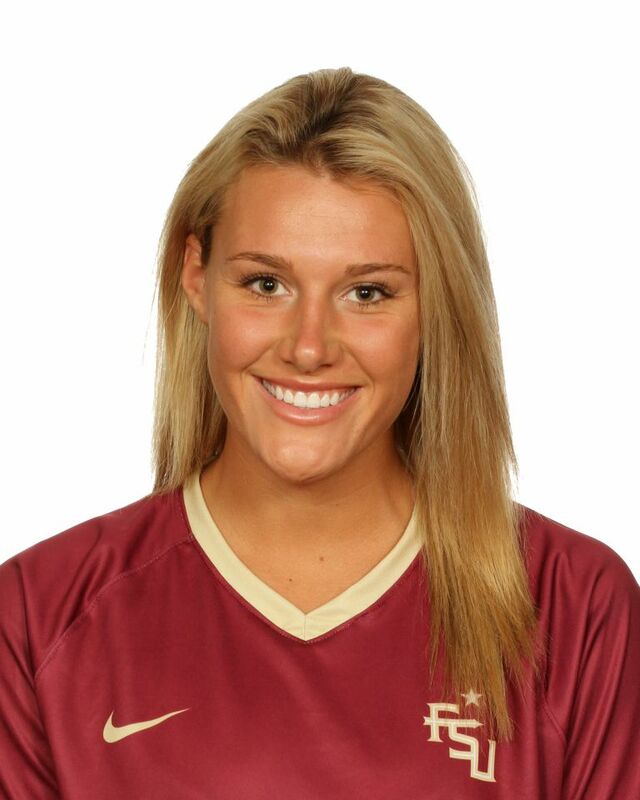 * Posted a career high three points on a goal and assist versus Wake Forest (September 22), finding Dallas Dorosy for FSU’s second goal in the 61st minute and scoring one of her own in the 63rd minute. * Tied the match against No. 2 Virginia on September 25 with a counterattack goal in the 68th minute. * Closed out the conference season with assists at Boston College and against Louisville. * Competed for Ohio Premier. * Named the club’s Player of the Year in 2015. * Member of a PDP camp in 2015 and 2016. * Participated in a camp in 2014. * Daughter of Dan and Kathy McFarland. Both parents were on the swim team during college – her mom at NC State and her dad at Bowling Green. * Named to the honor roll as a sophomore and a junior. * A member of the Student Council in grades 8-10. * Has also played basketball and participated in swimming on a competitive level.